Al Papina's racing career began by first driving, and then owning midget race cars in the 1930s. 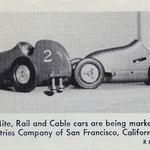 His first tether car was a home-built special modeled after a full-sized California midget, and that little racer won its class at the 1941 California State Fair races. Papina continued as an active miniature car racer, and in 1946 he began producing a .60 size car, best known as the "metal top Papina". Later, in 1947, he introduced a plastic-bodied version of that car. Papina actively raced on both high banked rail tracks and cable tracks, and the cars which he produced could be adapted for use on either type of track. Attempting to take advantage of the surge of interest in mite cars after World War II, Papina designed a compact mite car which could compete on either a rail track or a tether track. 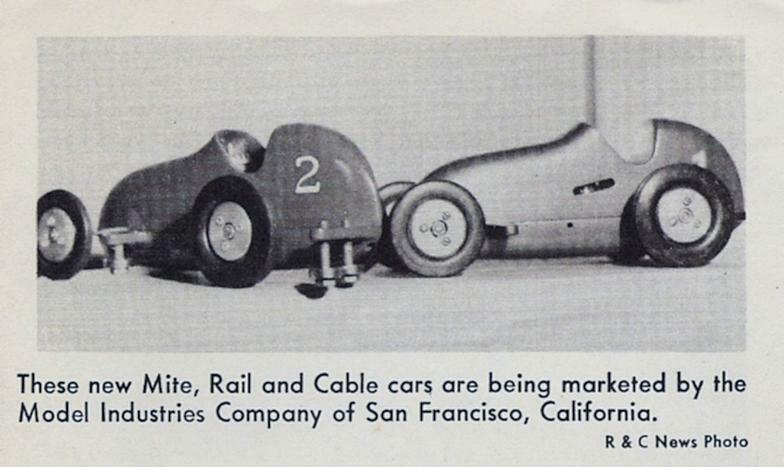 Two McCoy .19 powered prototype cars were completed; a rail mite and a tether car, and they were pictured in a photo in the July 1950 issue of Rail and Cable News with an indication that the cars were available for purchase. The cars were well engineered, beautifully constructed, and appeared to be very competitive. But, unfortunately, the Papina Mite was never put into production due to financial constraints. And only two Papina Mites, the serial number 1 tether car shown here and a second car equipped with rail guides, were produced.